Tonight on FOX THE FOLLOWING returns with a new episode called, “The First Chapter.” On tonight’s show it is the season finale of the show and Joe leads Claire (Natalie Zea) to a special location and the ultimate showdown between good and evil takes place. Did you watch last week’s episode? There is a full and detailed recap for you here. On last week’s show in the season’s penultimate episode, Ryan, Parker and Weston prepared to storm the follower’s mansion, but Joe already had an escape plan in action. Meanwhile, disguised followers created a diversion at the town evacuation center, which caused panic among the residents and led to a dangerous kidnapping of one FBI official. Tonight’s episode is going to be great and you won’t want to miss it. So be sure to tune in for our live coverage of FOX’s The Following tonight at 9 PM EST! While you wait for our recap, hit the comments and let us know what your think of The Following premiere season, so far? 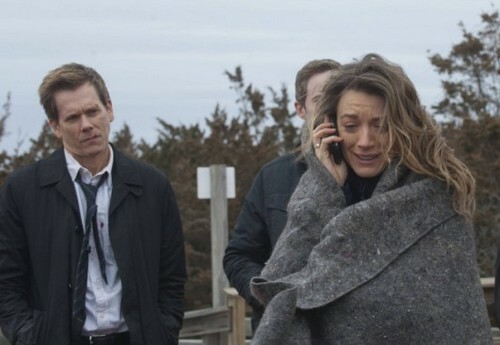 THE FOLLOWING FINALE EPISODE 15 LIVE RECAP, CLICK HERE …..